Sheet metal work is the process of metalworking that forms new products from various types of sheet metal. Heating processes are used to harden or soften sheet metal by heating or cooling it until it reaches the desired level of hardness, and also so it is in a form that is workable. Several important techniques may be used in the heat treating process, including annealing, quenching, precipitation strengthening and tempering. Annealing is a process by which a metal is heated and then cooled very slowly, leaving the metal soft and ductile. Quenching, on the other hand, refers to the rapid cooling of metal that can increase the metal’s strength. In tempering, the metal is heated to extreme heat, between 400 and 600 degrees Celsius, and is maintained at this temperature until the carbon diffuses to produce bainite or pearlite. Precipitation strengthening, which can also be referred to as age hardening, is another way to increase the strength the metal. Tempering can also strengthen the material. After the metal is heated, it can be stretched into various forms. During stretching, sheet metal is clamped around the edges and stretched to make various products, including car doors. Sheet metal can be subjected to bending and curving. Bending involves straining sheet metal by moving it about a linear axis on a neutral plane. Other than bending and stretching, several other techniques may be used to shape sheet metal. Drawing and deep drawing, for instance, are stamping processes that make flat sheet metal into varying three dimensional forms. Cutting changes the size of the sheet and can also be used to cut the metal into different shapes. Comparatively, punches perforate the sheet and cut specific shapes out of the metal. Sanding or deburring of the product can be applied to remove any rough spots or edges. The metal can then be polished for a shiny finish or buffed for matte finish. 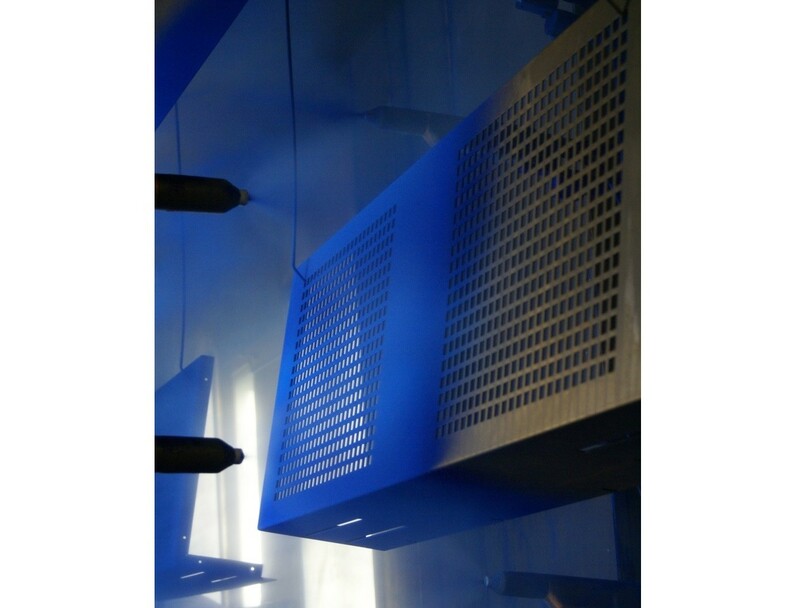 To finish the product additional steps such as thermal spraying or plating can also be applied. Sheet Metal Work Sheet metal work includes the various processes involved in heating and shaping metal sheets. In general, sheet metal is created by compressing the metal materials between rollers. Once compressed, the sheet metal can be bent, drawn, cut, punched, or stretched. These processes are responsible for forming the metal into a different shape, surface, or size. Most metal working processes require heating the metal.